At almost every stage of the day today is at least one laptop. DJs for this course applies equally - and they also have often a mixer at. So naturally HERCULES for these applications has developed a solid laptop stand: it is quickly set up and easy to transport. Finally there is a safe place for your laptop on stage! • Suitable for laptops, DJ controllers and mixers up to 10kg. 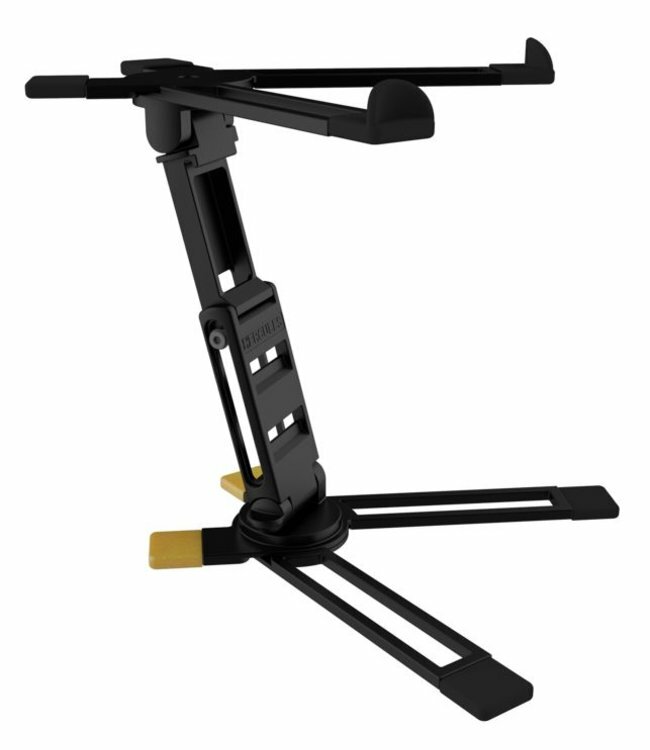 • 3 positions in height, freely selectable installation angle. • Design one-piece for quick and easy setup / breakdown. • Can be folded together compactly. • Supplied with carrying bag made of neoprene.